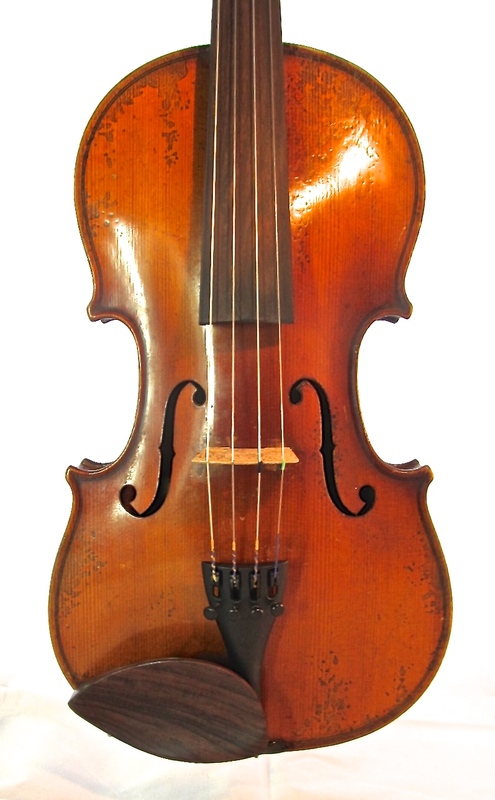 Late 19th/ early 20th century German Amati copy, unlabelled. 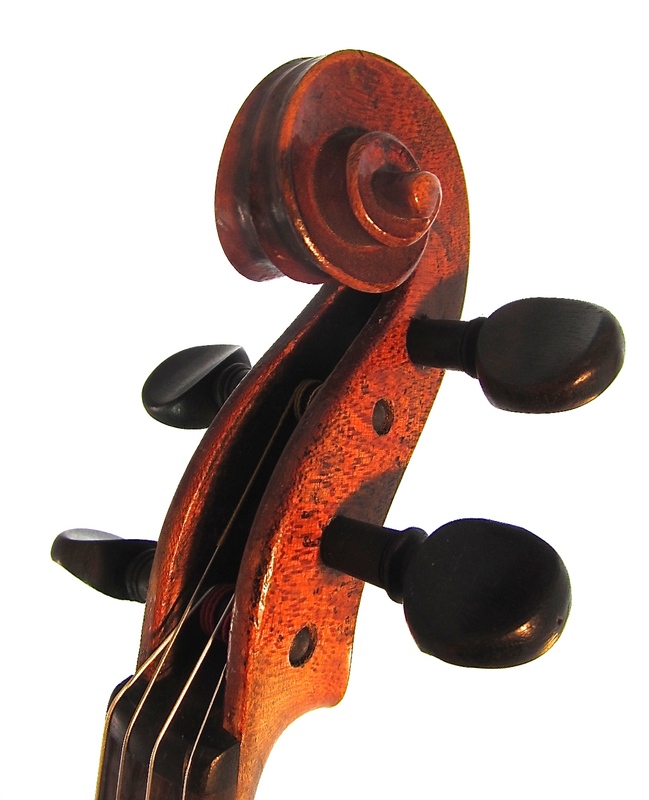 This is a very high spec instrument, made with the best woods - look at the fabulous one-piece back. 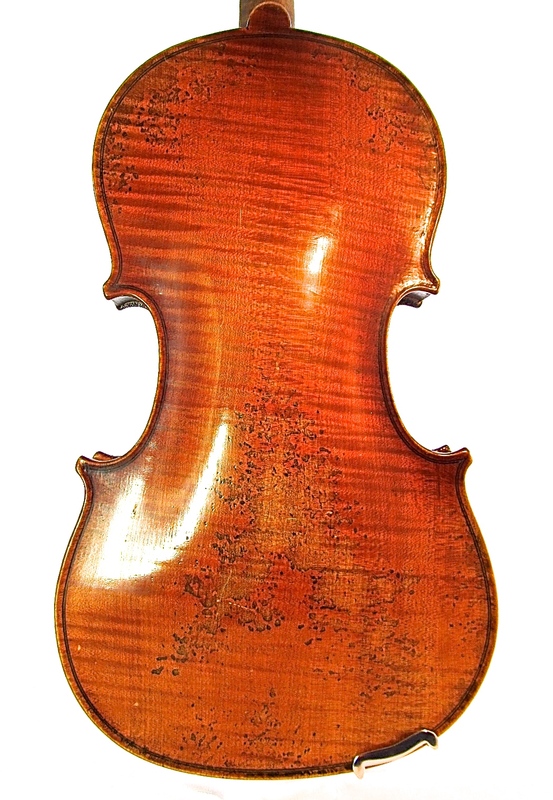 Warm, red-brown oil varnish with a beautiful patina. The sound is clear, strong and even, with plenty of personality. 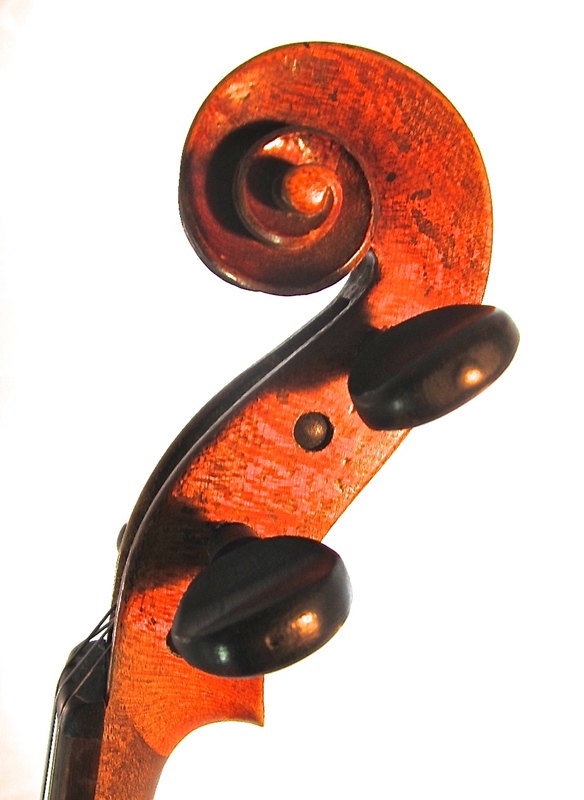 Condition: Perfect - the scratches and dings on the varnish add to the character of the instrument. Set-up: Original ebony pegs. New soundpost and Aubert bridge, new Wittner tailpiece and Helicore strings.